The 2016 Conference has concluded. Thank you to all of our participants for making this year’s conference a great success! The breakout presentations are now available here. Please check back for announcements for the 2018 Conference. 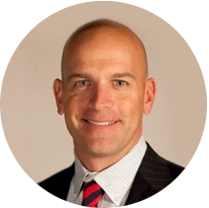 Major Dan Rooney is the founder of the Folds of Honor Foundation, a Fighter Pilot with 3 combat tours in Iraq, the founder of The Patriot Golf Club, a PGA Professional, and author of A Patriot’s Calling – Living Life between Fear and Faith. He was the only motivational team speaker for the US Ryder Cup team in Wales. Folds of Honor, a non-profit organization, provides scholarships to the spouses and children of military service members disabled or killed in action. In five short years, Folds of Honor has raised over $70 million and awarded nearly 8000 scholarships to the family members of those killed in action or disabled in combat. A Major in the Air Force Reserve and a decorated military aviator, he is a two-time recipient of the Top Gun award and was honored with the Spirit of Attack award as a top graduate of F-16 training. He has received many decorations including the Air Force Commendation Medal, Air Medal, Anti-terrorism Medal, Combat Readiness Medal and Air Expeditionary Medal. For his service and patriotism – Rooney was presented the White House's “Presidential Volunteer Service Award” by President George W. Bush, the Air National Guard's “Distinguished Service Medal”, the Air National Guard’s “Directors Service Award” and the Ellis Island “Medal of Honor”. He was honored at The Masters Invitational with the “William D. Richardson Award” for his outstanding contributions to golf and received the PGA of America's first-ever “Patriot Award”. He has been recognized as one of People Magazine's “Heroes of the Year”, Money Magazine’s “Hero of the Year” and ABC World News Tonight's “Persons of the Year”. He is a “Significant Sigma Chi” and was featured on NBC World News Making a Difference report. Rooney founded The Patriot, a Robert Trent Jones, Jr. designed course in Tulsa, Oklahoma. It is currently ranked 42nd among American golf courses in Golf Week’s Modern Top 100. The Patriot is home to the Folds of Honor Foundation headquarters. 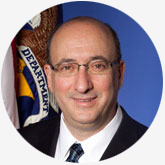 Appointed in 2009, Dr. Michaels is the longest serving Assistant Secretary in OSHA's history. He has worked to strengthen the Occupational Safety and Health Administration's (OSHA) enforcement in high hazard industries, promote common sense worker protection programs and standards, expand compliance assistance provided to small employers, improve the agency’s whistleblower protection program, and increase outreach to vulnerable populations at risk for work-related injury and illness. In his role, he has also increased OSHA's focus and capabilities in the areas of data analysis and program evaluation. Prior to his appointment at OSHA, Dr. Michaels was a professor of Environmental and Occupational Health at the George Washington University School of Public Health. From 1998 to 2001, Dr. Michaels served as Assistant Secretary of Energy for Environment, Safety and Health. In that position, he was the chief architect of the Energy Employees Occupational Illness Compensation Program, the historic initiative to compensate nuclear weapons workers who contracted occupational illnesses as a result of exposure to radiation, beryllium and other hazards. In 2006, Dr. Michaels was awarded the American Association for the Advancement of Science's Scientific Freedom and Responsibility Award. He also won the John P. McGovern Science and Society Award in 2009, given by Sigma Xi the Scientific Research Society, for his work in scientific integrity and for gaining compensation for nuclear weapons workers. He is a graduate of the City College of New York, and holds a Master of Public Health and PhD from Columbia University. 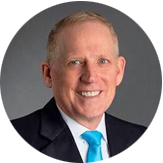 John Howard, MD, MPH, JD, LLM serves as the Director of the National Institute for Occupational Safety and Health and the Administrator of the World Trade Center Health Program the U.S. Department of Health and Human Services in Washington, D.C. He first served as NIOSH director from 2002 through 2008, and again from 2009 to the present. In 2015, Dr. Howard was re-appointed to an unprecedented third six-year term by Dr. Thomas Frieden, the Director of the Centers for Disease Control and Prevention. 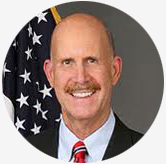 Prior to his appointment as Director of NIOSH, Dr. Howard served as Chief of the Division of Occupational Safety and Health in the California Department of Industrial Relations, Labor and Workforce Development Agency, from 1991 through 2002. Dr. Howard received his Doctor of Medicine from Loyola University of Chicago, his Master of Public Health from the Harvard School of Public Health, his Doctor of Law from the University of California at Los Angeles, and his Master of Law in Administrative Law and his Master of Business Administration in Healthcare Management from the George Washington University in Washington, D.C.
Dr. Howard is board-certified in internal medicine and occupational medicine. He is admitted to the practice of medicine and law in the State of California and in the District of Columbia, and he is a member U.S. Supreme Court bar. He has written numerous articles on occupational health law and policy and serves as a professorial lecturer in environmental and occupational health in the Milken Institute School of Public Health at The George Washington University in Washington, D.C.
Deborah Hersman is president and chief executive officer of the National Safety Council, a nonprofit organization dedicated to saving lives and preventing injuries. Ms. Hersman is a recognized leader in safety, with a frontline understanding of the value of protecting human life through thoughtful attention and management of risk. Acknowledged as a visionary, Ms. Hersman is a passionate safety leader who advocates for safety across all industries. She helps further the Council’s vision of ‘making our world safer’ to improve every workplace, home and community as well as the way we travel every day. Prior to joining NSC, Ms. Hersman served as chairman of the National Transportation Safety Board from 2009-2014. Among her many initiatives as chairman, Ms. Hersman focused on distracted driving, child passenger safety and helping victims and their families. Ms. Hersman was an NTSB board member on-scene for more than 20 major transportation incidents, chaired scores of NTSB hearings, forums and events and regularly testified before Congress. Ms. Hersman was a senior advisor to the U.S. Senate Committee on Commerce, Science and Transportation from 1999-2004. She also served as staff director and senior legislative aide to former U.S. Rep. Bob Wise (D. – W. Va.) from 1992-1999. Her efforts contributed to the passage of milestone bills such as the Motor Carrier Safety Improvement Act of 1999, Pipeline Safety Improvement Act of 2002, Transportation Equity Act of the 21st Century and Amtrak Reform and Accountability Act. 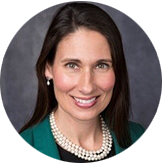 Ms. Hersman holds Bachelor of Arts degrees in political science and international studies from Virginia Tech, and a Master’s of Science degree in conflict analysis and resolution from George Mason University. She is a certified child passenger safety technician and holds a commercial driver’s license (with passenger, school bus and air brake endorsements) as well as a motorcycle endorsement. Capt. Jim Wetherbee, USN, RET. With thirty-five years of experience in high-hazard operational environments, Jim enjoys consulting with leaders and operators in dangerous endeavors with critical mission objectives. He is the only American astronaut to have commanded five missions in space, and is the only person to have landed the Space Shuttle five times. Jim earned a Bachelor of Science in Aerospace Engineering from the University of Notre Dame in 1974. He began his career as a Naval Aviator aboard the USS John F Kennedy, flying the A-7 Corsair. After graduating from the US Naval Test Pilot School, Jim performed flight-testing of the F/A-18 Hornet. In 1984, Jim was selected to join NASA in its tenth group of astronauts. Over a twenty-year career, he flew six times on the Space Shuttle. The five-time commander flew two missions to the Russian Space Station, Mir, and two missions to the International Space Station. In 1998, he was appointed as the Director, Flight Crew Operations, specifically selected to improve the flight and ground safety in the astronaut corps. Based on that success, Jim was selected after the Columbia accident to enhance the safety aspects in the organizational culture at the Johnson Space Center, home of NASA’s human space flight program. Bringing his experience from the aerospace industry as a former NASA executive and astronaut, Jim joined the oil and gas industry as a Safety and Operations Auditor for BP. Four years later, he was selected as a VP for Operating Leadership. In this role, he and supported efforts to improve performance results consistently over the long-term, by emphasizing effective leadership behaviors as a key way to influence and inspire people to conduct safe and high-quality operations. 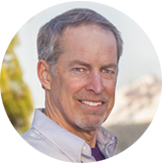 After successful careers in naval aviation, aerospace, and the oil and gas industry, Jim is passionate about helping leaders and operators perform successfully in hazardous environments. After being employed by a natural gas pipeline company for 10 years, Brad Livingston was involved in back to back explosions that were 100% preventable. Brad, now a Motivational Safety Speaker, speaks about the contributing factors to these explosions. These factors are the same as what exists in EVERY type company EVERYWHERE - Shortcuts; Complacency; Pride; Bad Attitudes; Improper Perspectives. Brad overcame a 5% chance of surviving his injuries and now shares his story. 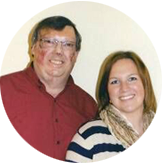 Kayla Rath was only nine years old when her father, Brad, was involved in these explosions. For three months, Kayla and her two sisters lived with family members while their mother sat with Brad as he fought to stay alive in a Texas hospital. The accident still impacts the family today. Kayla, now a Professional Safety Speaker, shares her story and what it’s like to grow up with her father’s unsafe decision impacting her life for the past 25 years. Krista S. Geller, Ph.D. has been involved in applied behavioral science since childhood as a subject in many of her father’s psychology studies. With no informed consent or opportunity to opt out, Krista made the best of these “forced” learning experiences. It wasn’t until her freshman year at Radford University that she realized the critical importance and social validity of her dad’s research. It was then she decided to double major in psychology and media studies. As a New River Valley News reporter for Radford University, many of her news stories related to her dad’s research topics, but this time she was a willing participant. 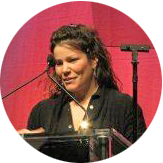 She produced such media stories as: the proper installation of child safety seats, strategies for healthy eating, the multiple effects of coal mines in Virginia, the creation of the “road rage reducer,” the impact of having a date on the alcohol consumption of college students, and the significance of the Actively Caring for People Movement (AC4P). Over the years Krista had the unique opportunity to voluntarily participate in these and many other research studies at Virginia Tech’s Center for Applied Behavior Systems (CABS) where she worked as a researcher throughout her undergraduate and graduate studies. Krista graduated in 2002 and 2005 with her Masters and Doctorate degrees, respectively in Human Development at Virginia Tech. Chairman and President, BP America Inc.
John Mingé, Chairman and President, BP America Inc.
John Mingé was named chairman and president of BP America Inc. in February, 2013, where he is responsible for providing leadership and oversight to BP’s U. S. businesses, which are involved in oil and gas exploration and production, refining, chemicals, supply and trading, pipeline operations, shipping, and alternative energy. Prior to this role, since 2009, Mingé was the regional president of BP Exploration (Alaska) Inc. responsible for BP's oil and gas exploration, development and production activities in Alaska, as well as its interests in the trans-Alaska oil pipeline. During his 30-year career with BP, Mingé has held various executive and engineering posts around the globe. He has served as president of BP Indonesia, head of BP’s Asia Pacific Unit, and president of exploration and production for Vietnam and China. For the past four years, he has served on the BP America board of directors. Mingé started his BP career in the Gulf of Mexico as a drilling engineer. He holds a bachelor's of science in mechanical engineering from Washington State University. He is also a member of the API Board and Executive Committee and a member of the National Petroleum Council. Warren Hubler, Vice President, for Health, Safety and Environment, Helmerich & Payne International Drilling Co.
Warren Hubler is a graduate of the U.S. Naval Academy in Annapolis, Maryland where he earned a BS degree in Marine Engineering. He served 7-years in the Atlantic Fleet onboard the USS Virginia and USS Yorktown and finally as a naval intelligence briefer. Warren left the Navy in 1989 and joined Helmerich & Payne International Drilling Co. in January of 1990. He began his oilfield career as a roughneck in land drilling operations in southeast Oklahoma. In 1991 he was assigned as Administrative Manager for H&P’s drilling operation in Gabon, West Africa where he lived with his family. In 1992 Warren returned to Tulsa and assumed duties as H&P’s Safety Manager for domestic and international operations. In 1995, he earned formal recognition as a Certified Safety Professional. In December 2000, Warren was promoted to Vice President of Health, Safety and Environment (HSE) for H&P. In Sept 2010 Warren’s job duties at H&P were expanded to include technical training and professional development. Warren actively promotes safety across the drilling industry. 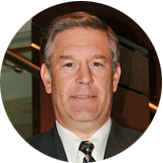 He has helped kick-off numerous STEPS networks and in 2012, Warren assumed collateral duties as Co- Chairman of the Oil & Gas Council for NIOSH’s National Occupational Research Agenda (NORA) aimed at reducing fatalities and improving safety performance within the upstream O&G industry. To view a recap of the 2014 OSHA Oil & Gas Safety Conference, please click here. To view the Post-Conference Report from the 2014 OSHA Oil & Gas Safety Conference, please click here.